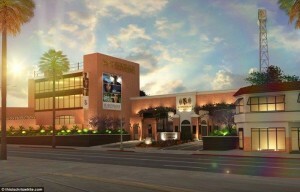 Hollywood may never be the same again now that the Church of Scientology has opened its new movie studios, which they claim has bigger and better facilities than Paramount. 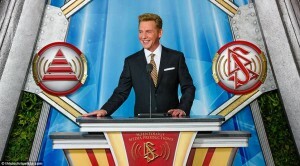 Leader David Miscavige announced to the world that this will be an ‘uncorrupted communications line to the billions’, as Scientology promises to reach ‘virtually every person on Earth’. The colossal studio complex on Sunset Boulevard in Los Angeles was finally unveiled after five years of renovations at a cost of at least $50 million on May 28. The new studio will also be used to make polished propaganda movies to recruit more followers while it’s most famous recruit, Tom Cruise, is set to film his Hollywood blockbusters at the glittering base, which has bigger studios and sound stages than Paramount, the church claims. Scientology has had a hand in a number of Cruise films in the past, and scenes from Days of Thunder and Far And Away were all filmed at their main HQ Gold Base in Hemet, 60 miles outside Los Angeles in the desert. 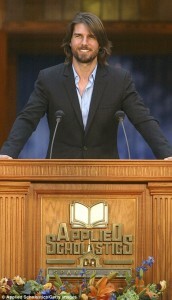 It gives Cruise, who is worth $450 million, and Scientology, which has $8 billion in reserves, the opportunity to heavily influence the movie world again, which they were doing back in the day where they influenced around top Hollywood executives to get what they wanted on films such as War of the Worlds, Days of Thunder and Battlefield Earth. 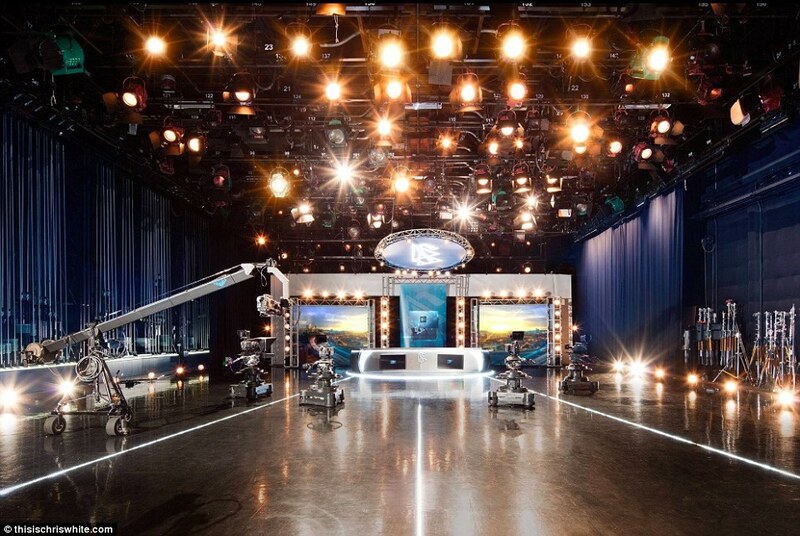 The Church has also promised rolling 24/7 Scientology ‘CNN news’ for its followers in the state-of-the-art studios. 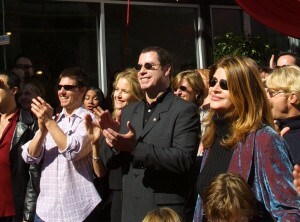 Scientology celebrities including Nancy Cartwright – the voice of Bart Simpson – and billionaire Bob Duggan, heard Miscavige tell a crowd of 10,000 people – a claim disputed by critics who say the number was nearer 1,000 – that the religion was going to rewrite history. He said: ‘Our uncorrupted communication line to the billions. Because as the saying goes, if you don’t write your own story, someone else will. A statement from the church itself on the opening read: ‘Scientology Media Productions (SMP) is poised to broadcast important, good, vital news to the world. The colossal studio complex in Los Angeles was finally unveiled after five years of renovations at a cost of at least $50million. ‘News reaching TV screens; facts and opinion destined to radios; magazines hot off of digital presses; information beamed to computers, tablets and cellphones. ‘The studio includes state-of-the-art sound stages, creative suites, visual effects production areas, editing, audio recording and mixing, foreign language translation and dubbing – every aspect of broadcast and online production. ‘It’s the most modern and sophisticated digital media facility of its kind on the planet. ‘Scientology’s worldwide activities including humanitarian and social betterment campaigns, as well as news of current world events, are fed into Central Ingest, the studio’s international media clearinghouse, and accessible throughout the facility’s broadcasting, audio and publication operations. The Church acquired the new media center from KCET, a local Los Angeles public TV station that had been there since 1970. Scientology has personalized a huge 150ft radio tower with its trademark ‘S’ symbol and claims that it will ultimately help everyone. Back in the day, Scientology members likeJohn Travolta with Kelly Preston influenced top Hollywood execs to get what they wanted on films such as War of the Worlds, Days of Thunder and Battlefield Earth. 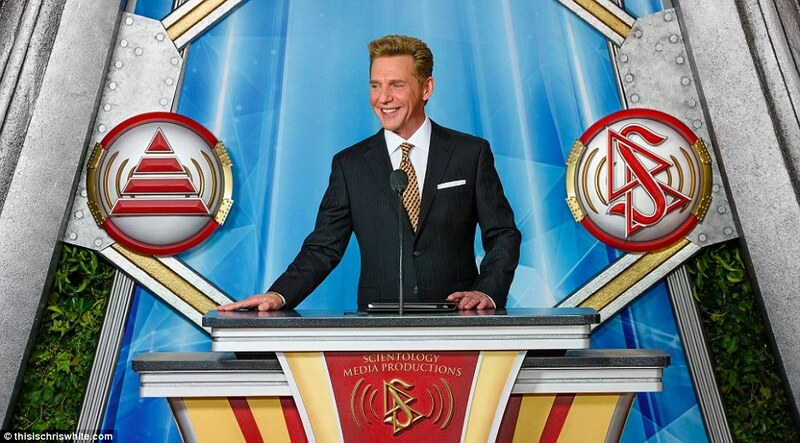 Miscavige said: ‘The average young adult spends ten hours of every day on the internet, and someone searches for ‘the meaning of life’ every five seconds, while someone else searches for answers about ‘spirituality’ six times per second. ‘SMP will harness the power of every social media outlet imaginable to provide those answers. Other guests at the gala include Leron Gubler, president of the Hollywood Chamber of Commerce, and Kevin James, director of the Los Angeles City Film and TV Office. But critics pored scorn on Scientology’s claim that it will reach billions, claiming that the Church has less than 30,000 members worldwide. 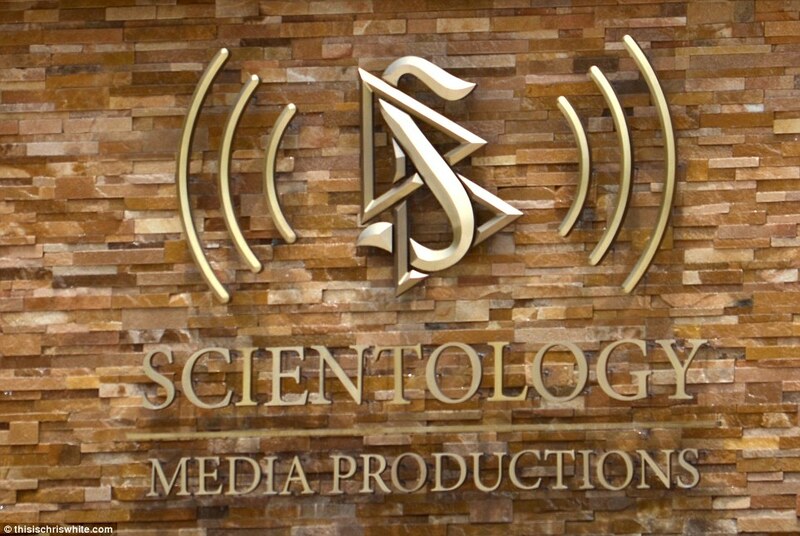 Tony Ortega, who runs the anti-Scientology website The Underground Bunker, said: ‘They’ve talked about doing a Scientology TV channel, showing their dumb videos over and over again. Former Scientologist Phil Jones was outside the venue on May 28 protesting against the Church. He and wife Willie were in headlines last month when they put up a huge billboard saying, ‘To my loved one in Scientology… call me’, on Sunset Boulevard in Los Angeles, after not being able to see their children Michael and Emily for the last few years due to Scientology’s ‘disconnection’ policy. 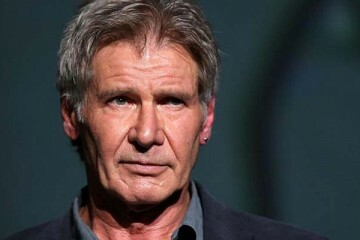 He said: ‘Security at the Media Productions facility was extreme to say the least. All sidewalks were closed off. ‘There were at least 15 to 20 heavily armed off-duty police all around the outside of the property. ‘There were also at least ten or 20 armed private security people guarding the outside of the complex. ‘This does not include the many Scientology uniformed and non-uniformed security personnel, which had to be at least 20 or more. ‘Above us on a rooftop a Scientology camera man kept tabs with an enormous camera with long zoom lens. At each compass point was a camera pointed directly at us at all times. ‘And what was all this security for? Well, the only activity showing any negative response to Scientology was a small group of perhaps six or seven peaceful protesters holding signs that simply said: ‘To my loved one in Scientology… Call Me’. ‘These were parents who had lost loved ones, family members, children, or parents to Scientology’s toxic disconnection policy which forces anyone inside the cult to disconnect to those who have left. Former Scientology spokesman and Church No 3 Mike Rinder says that the studios will be bigger than Paramount, but completely wasted on the Church. He claims it’s all just a fundraising ploy to make money. 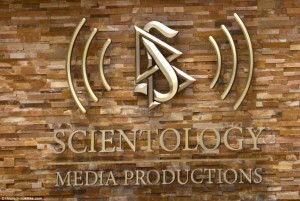 ‘This is Scientology’s version of a cross between Paramount and Disneyland. The idea of this thing is not just feature movies, but TV ads, informational videos, TV programs. 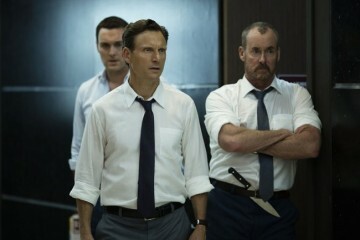 This is their platform to make their break in Hollywood,’ Rinder said. ‘They don’t need this new base, so the question becomes why? It’s just a fundraising ploy, to buy real estate, to persuade people to give them money, and if they can come up with the concoction that this is the next great thing to tell the world about Scientology, then all the better.